North of the Notch: Travels in the Backwoods of Maine and New Hampshire. ​How many places can you play the game of "I Spy" and look for a moose at the same time? Few travelers venture 'North of the Notch,' along the less traveled byways north of New Hampshire's fabled Franconia Notch. 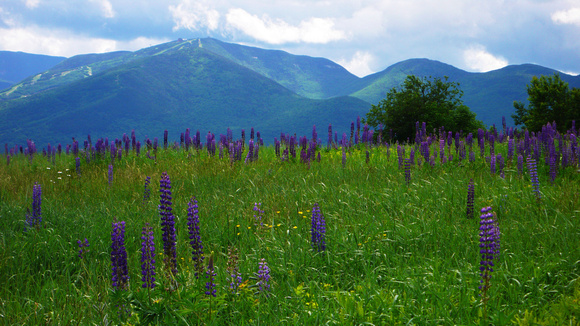 This route cuts a breathtaking, narrow path through the White Mountain range, home to Mt. Washington, the king of the Presidential mountains and the highest peak in the Northeast, along with other rightly famous attractions, including the Old Man in the Mountain, and the Flume. The region has attracted summertime visitors for generations. North of the Notch, the roads become smaller and more weather worn as they wind their way through forests of pine and fir. The houses are less well tended, the mountainous landscape more foreboding, the touristic diversions fewer and far between. In other words, the perfect route to follow. Franconia, Jefferson, Sugar Hill, and the regional capital, Berlin (pronounced BER-lin), still feel like the New Hampshire of my youth. The towns are small and a bit threadbare with hardly a franchise or big box store in sight. Downtown Sugar Hill for example, boasts a tennis court, with a spectacular White Mountain view, a post office, and a small country store with a stoop perfect for sitting. One can also visit the first ski school hill in America, rising up inconspicuously from Lovers Lane. Nearby are a wonderful display of handmade furniture and an antique shop [name] with proprietors happy to tell a story or two to adults and children alike about the antique implements and china on offer. Betty Davis and Robert Frost both called Sugar Hill home. Almost everyone in town has a story about their encounters w betty Davis, and will usually relate them at the slightest hint of curiosity. The proprietor of the antique shop next to The Homestead on Route 117, a charming four season inn where we spent one evening, explained that the actress used to come up once and a while to her hideaway in the mountains for a skiing and partying vacations, a story whose telling has far out-lasted the actress herself. Up by Lancaster is the John Wingate Weeks Estate, now part of the NH State Park system. My kids were most impressed with the working fire tower, which not surprisingly has an arresting view of the surrounding mountainous expanse that must be truly extraordinary during foliage season. Berlin, an industrial town which once lived on the bountiful harvest of Maine timber and now seems to be treading water as its waits for an industrial rebirth quickly gives way to a strikingly desolate and beautiful road that follows the Androscoggin River, which still bears evidence of its logging heritage. The river is dotted with fine spots for fishing, canoeing, and picnicking. as well as a teepee camp ground on Lake Ummbagogue, where you can have the parallel experiences of sleeping in a tepee and watching scores of cable channels. One activity my family enjoys during this road trip through the middle of nowhere is looking for moose. Binoculars are a must for this sport and we keep them, along with the camcorder, at the ready on the dashboard,. The road signs warn constantly of 'moose crossings' – the beasts can easily total a car which comes across its path. Most of the time, however, the animals can be spotted in the swamp-like flats at the periphery of the lakes that run on either side of the road. Parked cars and moose seem locked in a symbiotic embrace here in the north country. You'll be cruising down the road, not having seen a car or a house for some time when you come upon a line of vehicles parked alongside the road. Binoculars in hand you spring out of the car in the direction of the small crowd that has gathered. If you're lucky, you'll spot a moose foraging calmly in the wetlands nearby. The border with Maine is marked by a sign and what my kids have dubbed the "camel range"– two mountains in the shape of camel humps just south of Wilsons Mills. The mountains here are much more rounded, lower and gentle then the Presidential range further south. ﻿"We were the only one on the entire mountain the flawless afternoon we ascended"
﻿None too soon civilization beckons. Rangeley, Maine has been an outdoor capital for decades, with a thriving summer trade of casual tourists and hikers of the nearby Appalachian Trail. Sitting on the shores of Rangely Lake and in the shadow of Saddleback Mountain, Rangely caters to a wide range of summer visitors – from anglers in search of trout and salmon to families in search of a quiet beach with a canoe. We didn't try the fishing, but we did more than our fair share of canoeing, swimming, and hiking. When the sun shines in Maine, it is awfully hard not to have a good time. We stayed in two cabins during our visit -- one at Saddleback Lake, the other on Rangeley Lake. There are a few bed and breakfast accommodations, but in this part of Maine, summer "camps"--small self-contained cabins--are the signature accommodation. Most have that LLBean feel--very woody with simple furniture, and oh yes, something LL never needed, cable television. Saddleback Lake has a small beach where families congregate and the canoes are stored. The Lake is off limits to motorized transport of any kind, a boon to swimmers and lovers of peace and quiet broken only by the primeval cry of the Loons. Our days were filled with canoe and kayak trips to the Lake's far, undeveloped shore, where we searched for moose prints and blueberries, and rendezvoused for a picnic lunch with those who made the journey overland. The hike up the slopes of Saddleback Mountain is not to be missed. We were the only one on the entire mountain the flawless afternoon we ascended--myself, my two daughters aged 10 and 13, our friend and her two boys. ​﻿Joshua, aged 4 walked about 50 yards before tiring. His mother, as mother's all too often do, put his preferences first and took him into town for an ice cream cone and a round of miniature golf. Skiers from Portland flock to the mountain during the winter season, but in summer the place is all but deserted. The marked trail to the summit proceeds up wide open ski slopes, offering constant views to the south east and west. Our search for a sail boat took us to the Bald Mountain Camps, in nearby Oquossoc. Canoes and small, motorized craft can be had almost anywhere, but sailboats are surprisingly scarce on these beautiful lakes. Bald Mountain had a couple of Lasers, which with a little work, we managed to get shipshape. We'd take turns sailing while the others swam at the beach. Bald Mountain is a four season destination, with a spotless dining rom and numerous camps bordering the Lake. There's a dock for water skiing and a tennis court as well--a bit too twenty-first century for my taste, but all in all a place we'll be sure to patronize on our next trek to the north.